In our research on corporate innovation, we found the most advanced companies allow competitors to innovate in their own buildings. Johnson & Johnson Innovation, JLABS enables outside innovation inside the company. As a result, they’re improving the entire industry, including efforts of competitors, in order to positively impact society as a whole. Above: Crowd Companies’ Carl Bohlin addresses the council on our tour to JLABs in SF. At its nine sites within North America, JLABS gives startups the tools they need to level the playing field against large, corporate R&D teams. 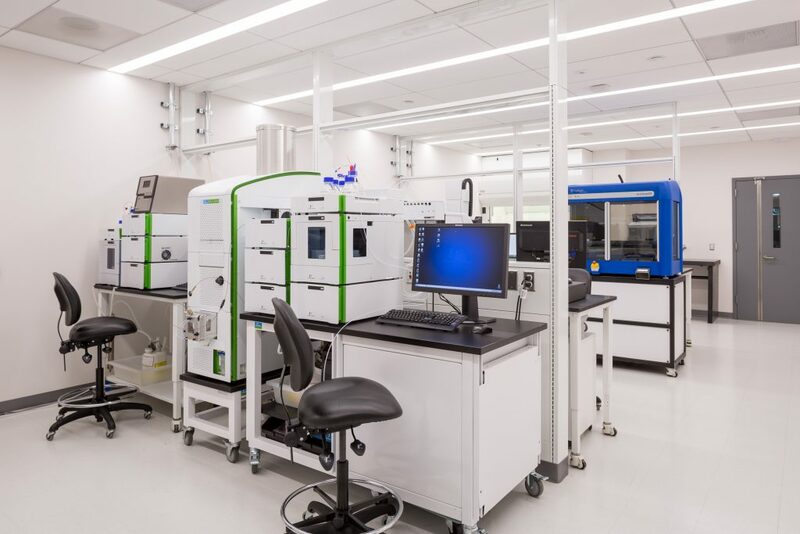 Half of each JLABS space is a common area with state-of-the-art equipment for use, while the other half is comprised of individual labs that help companies get started. 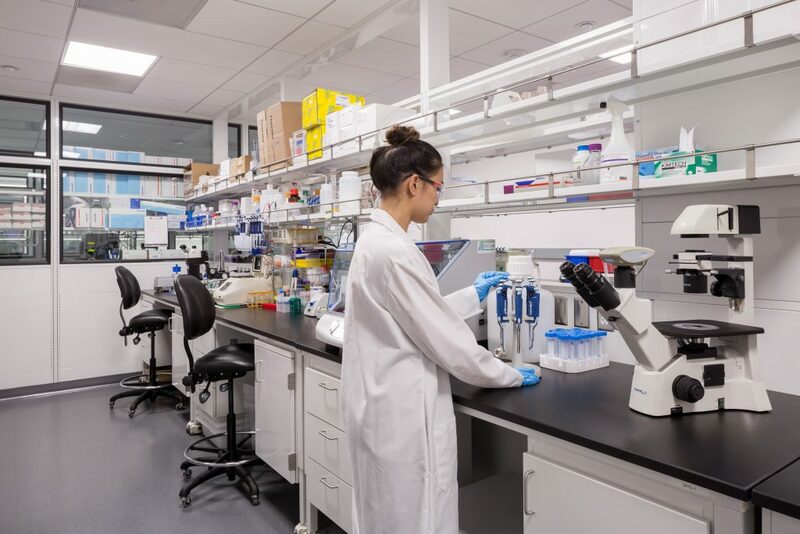 JLABS is all new space, not old storage or “leftover” labs, and the facilities are separate and distinct from Johnson & Johnson corporate with no Janssen scientists working there. 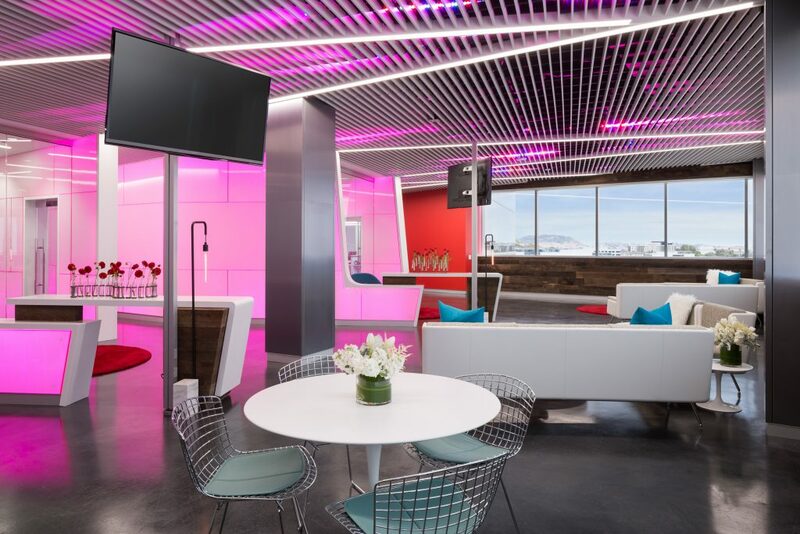 The Crowd Companies team was privileged to tour one of the JLABS sites earlier this year, bearing witness to how Johnson & Johnson Innovation is breaking the mold in a big way. 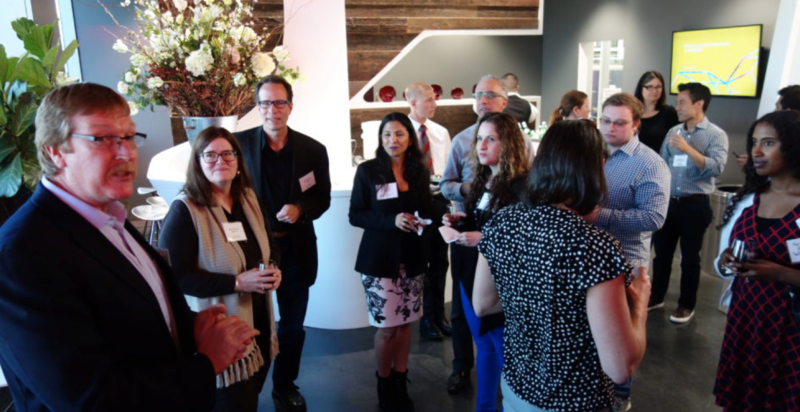 During our tour, dinner, and discussion at JLABS in South San Francisco , we found that the culture as a whole is diametrically opposite normal business behavior by inviting anyone into their space in order to innovate and advance specific medicines, medical devices and consumer & digital health solutions. The concept of JLABS sprouted from a need when JLABS leader Melinda Richter suffered a near fatal medical emergency while traveling internationally, see her TED talk. She made a promise that, if she survived, she would do something to enhance medical efficiency and bring solutions to patients faster and better. From there, JLABS was born and sold to executives. It is now thriving under Richter’s leadership. JLABS provides their space and tools onsite with no vested interest. Startups and innovators onsite have complete privacy to work without any sharing of IP. Security cameras are not even allowed to be directed where work is being conducted, and participants are encouraged to clean whiteboards after using. If it is presented with an idea of potential, Johnson & Johnson Innovation often pursues deeper partnerships that allow it to shape the ultimate innovation or product at a later date. JLABS measures its success based on internal financial metrics, quality of innovators coming in, quality of science and technology being developed, development milestones reached, the number of people using its space, and education programs run. Crowd Companies identifies the JLABS approach to innovation as an advanced program, as it not only benefits the company but also the entire industry. “Common tides raise all boats” in innovation, and Johnson & Johnson Innovation understands that their scientists will only be pushed further toward greatness if up against the best minds, with adequate resources, in the industry.